Ceremony for establishing the Friendship Group with the Republic of Moldova within the Federal Confederation of the Swiss Confederation took place at Berna. The group is headed by Christa Markwalder, former President of the Swiss Confederation's National Council, and gathers deputies from both chambers of the Swiss legislature who have expressed an interest in developing cooperative relations with our country. 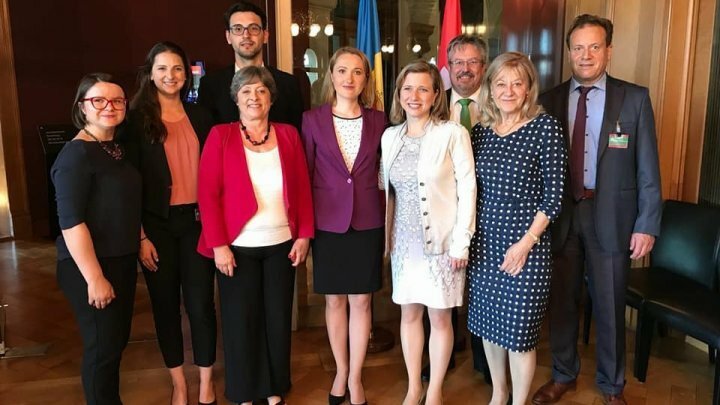 Representatives of the Embassy of the Republic of Moldova in the Swiss Confederation, members of the newly created Friendship Group, as well as other deputies and representatives of the Swiss Legislature attended the event organized within the Federal Parliament. The participants in the ceremony expressed their conviction that the Friendship Group will constitute a new platform for consolidating the political dialogue between the Republic of Moldova and the Swiss Confederation and the development of bilateral relations in various fields of interest. On the occasion of the establishment of the Friendship Group, the Embassy of the Republic of Moldova Switzerland organized a local wine tasting that was highly appreciated by members of the Swiss Parliament.